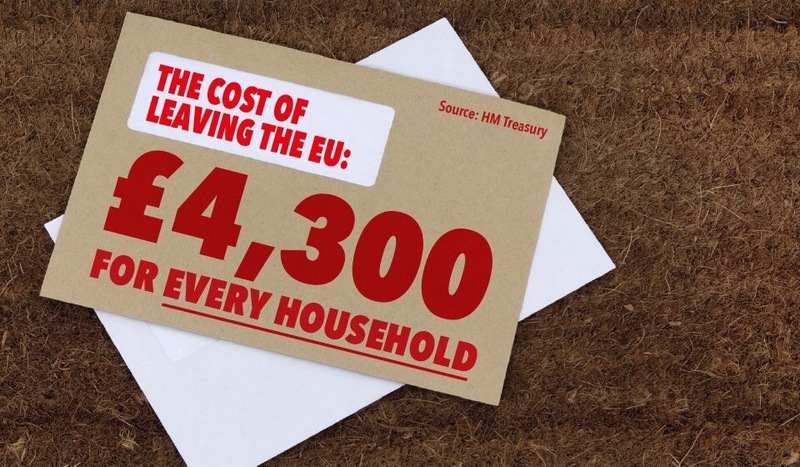 Yesterday the Stronger In campaign released a new poster promoting the cost to individual households of leaving the Eurpean Union. If you view the graphic on a screen it’s fairly unremarkable, but on a full size poster – with the Prime Minister stood in front it – the image is impressive on account of the billboard looking like an absolutely massive doormat. And the picture of David Cameron standing in front of it will be more important than the graphic itself getting passed around social media. 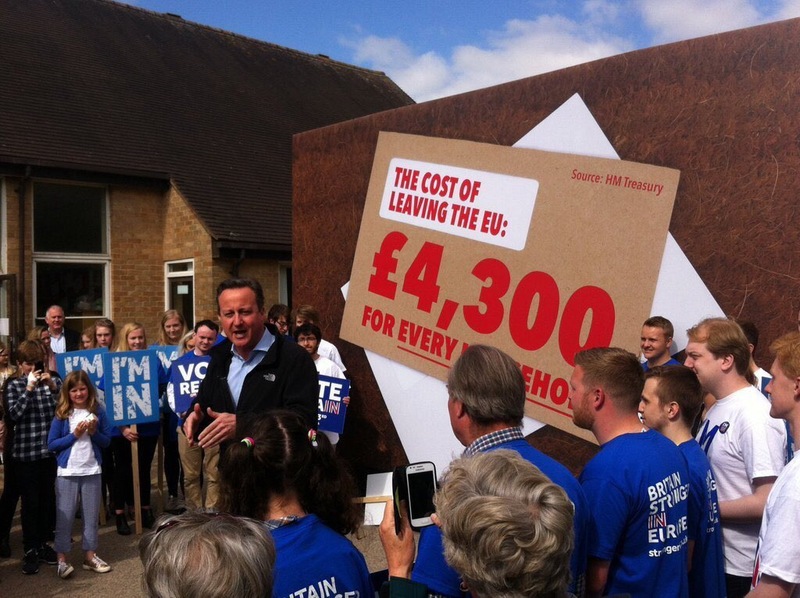 The reason being that the poster launch will have been all about getting David Cameron on the Saturday evening news talking about the effect of Brexit on voters’ wallets (which was achieved). People watching the evening news on a Saturday night will be highly likely to vote and so securing a decent slot to land a campaign message is very valuable indeed.